Small and compact size. Measuring just under 1 cubic inch! 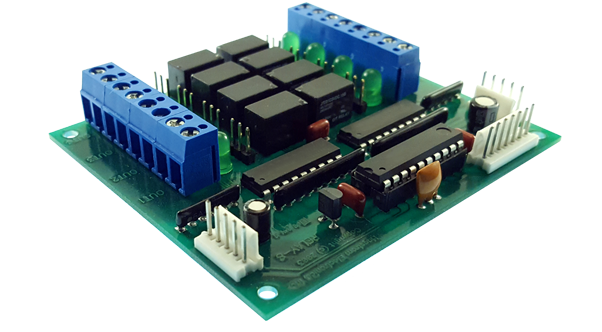 Programmable Interface can scan any matrix size, from single keys, up to a 4x5 Row and Column Matrix. 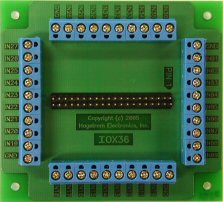 Any of the 9 pins of the KE-USBMX20 header can be programmed as a Row or Column, allowing direct connection to off-the-shelf keypads. The KE-USBMX20 filter features may be set to allow any combination of keys to be activated, just a single key on at a time, or to filter ghost key conditions. Emulates a standard USB keyboard, no special drivers required. Works as the only keyboard or in addition to other keyboards attached to your computer. Power for the KE-USBMX20 is supplied from the USB port, no external voltage supply is required. Each switch position within the matrix can be programmed to emulate any standard keystroke, or a macro series of keystrokes. Keystrokes or macro sequences can be sent on the activation of the keypad button, deactivation of the button, or on both actions. Key responses may be individually set to send one response per activation, or to repeat the keystroke or key sequence. Macro key sequences can be up to 16 key actions when a button is pressed and up to 16 key actions when the button is released. Multiple KE-USBMX20 units may be attached to the same computer and programmed individually with the included configuration program. A status LED indicates key detection and powered state. Supplied with a 6 ft. Micro-B to Type A USB cable, header keying plug, and a male header adapter for connection to a typical membrane keypad tail. Includes printed user manual and disk containing computer applications used to configure the KE-USBMX20. 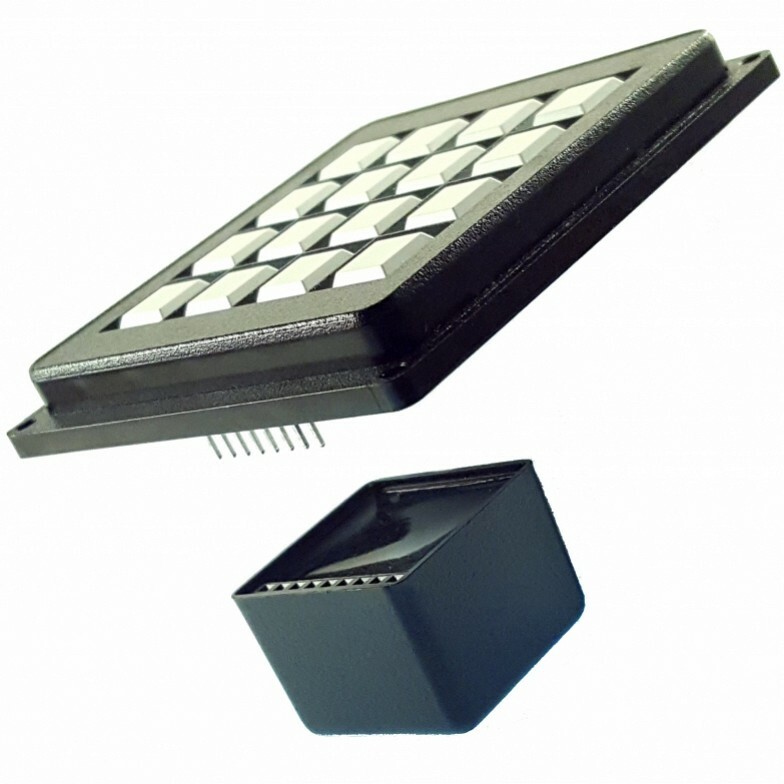 A compact but extremely powerful USB keyboard interface for keypads! 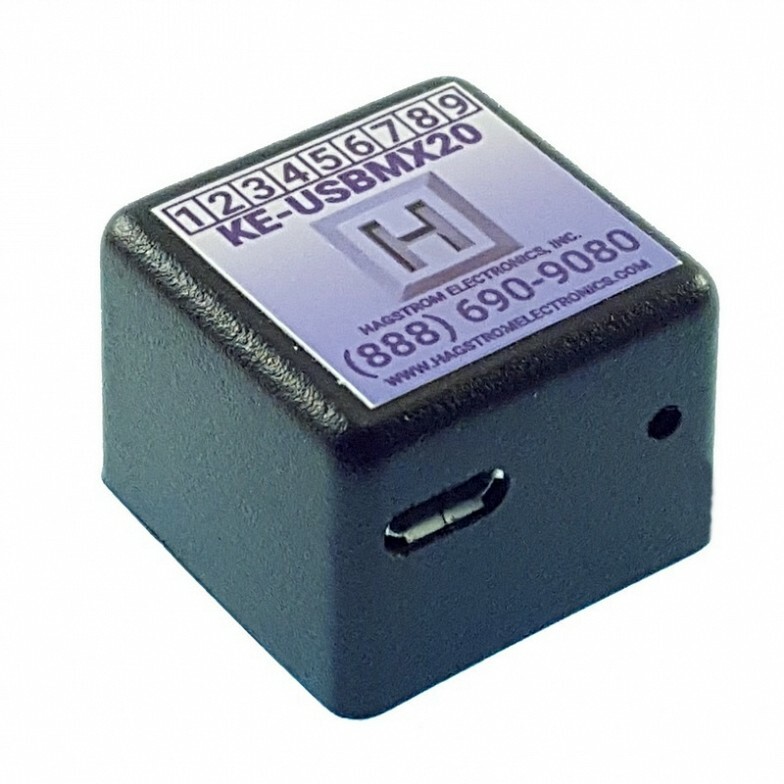 With a size measuring just under a cubic inch, the KE-USBMX20 is a highly configurable product for interfacing to matrix keypads of up to 20 keys. Switch buttons on the keypad generate user defined USB keystrokes on the target computer. 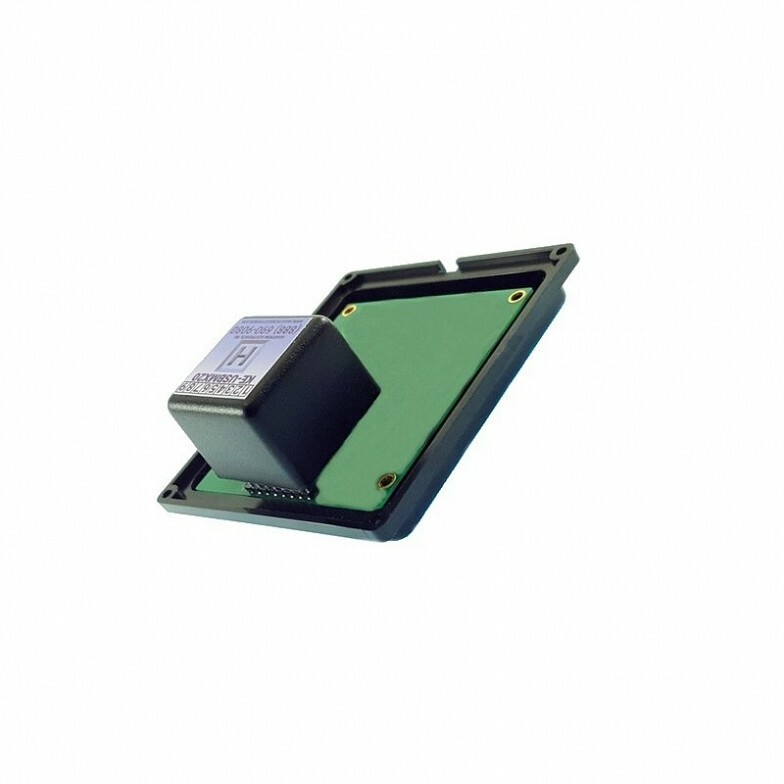 The KE-USBMX20 nine pin female header has programmable signals which can be configured as a Row or Column within a matrix, allowing for the direct connection of the KE-USBMX20 onto a keypad male header. The KE-USBMX20 is configured through the USB port of the computer using the programming application included with the unit. 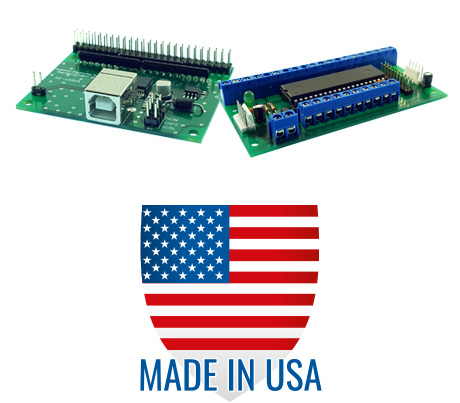 The program allows the user to specify the pins that are to be used for scanning the matrix as well as the keystroke responses for each button position in the matrix. Once programmed, the configuration is stored on the KE-USBMX20 in non-volatile memory. Keystrokes generated for each keypad button may be a single key, or a macro sequence of keystrokes initiated from a single button activation. The keystroke or macro sequence can be sent on the activation of the keypad button, deactivation of the button, or on both actions. Each button in the matrix may be individually selected to repeat or only produce one response per key activation. Macro key sequences can be up to 16 key actions when a button is pressed, and up to 16 key actions when the button is released. Power for the KE-USBMX20 is supplied from the USB port, no external voltage supply is required. The KE-USBMX20 uses standard system drivers, therefore special drivers are not required for operation. 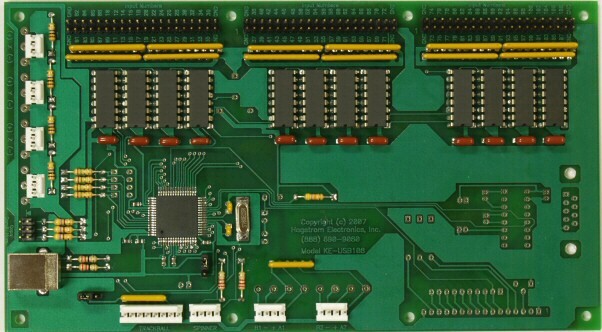 This unit may be used on any system that supports a standard USB keyboard connection. 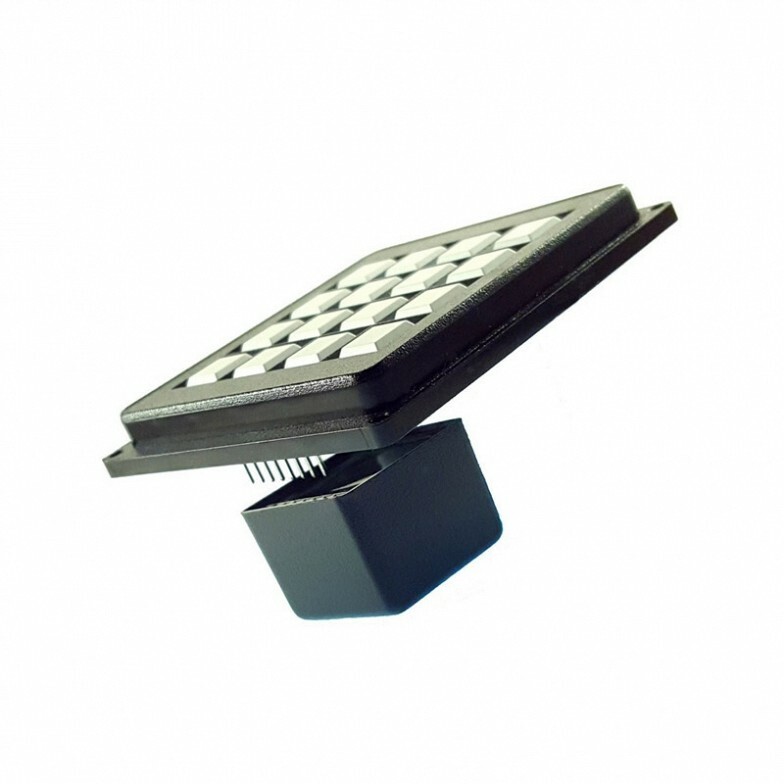 Several programmable filter features are provided which allow for treatment of matrix scanning options. The KE-USBMX20 may be set to allow any combination of keys to be activated, just a single key on at a time, or to filter ghost key conditions so they do not produce responses. TVS protection is provided on the USB and matrix signals to help mitigate effects of static discharge events. ESD is protection rated at 20kV for direct, and 30kV air. Each KE-USBMX20 includes a 6-foot Micro-B to Type A USB cable, header keying plug, and a male header adapter for connection to a typical membrane keypad tail. A printed user manual and disk containing computer applications used to configure the KE-USBMX20 are also included. Customization for special features not included in the standard unit can be provided. Please contact us for specific needs beyond the standard features of the KE-USBMX20. 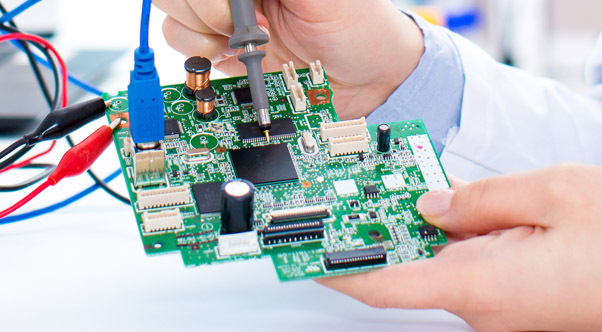 We can quickly and cost effectively provide a customized solution to a variety of requirements. *MTA100-9H-12 – Cable that plugs into the KE-USBMX20 input header and provides 12 inches of discrete wire for each pin. Use to interface individual switches or for keypads that do not have a single row male header.